As in a recent post of mine on Let’s Talk Development, I thought the World Health Survey might shed some light on these issues. The WHS was fielded in the early 2000’s in 70 countries – spanning the World Bank’s lower-, middle- and high-income categories. The WHS enumerators asked a randomly-selected adult in each household about his or her use of inpatient care and outpatient care; in the numbers that follow I’ve focused on use in the last 12 months. As I said in the earlier blog post, the WHS does have some drawbacks: it covers some regions fairly fully, other much less fully; it’s 10 years old; and all we can tell is whether inpatient or outpatient care was received, not the number of contacts. But despite these problems, the WHS gets us quite a long way. The maps below show the inpatient admission and outpatient visit rate – actually the fraction of people who had at least one admission or visit in the last 12 months. Green countries are above the developing-country average; red countries are below it. For IP admissions, most of the OECD countries are above the developing-country average (6.98%). Brazil, Namibia and the European and central Asian countries are also above it. African and Asian countries are mostly below or close to the developing-country average. The picture is different for outpatient visits. Several OECD countries are actually below the developing-country average (27.52%). And for the most part, the countries below the developing-country average are in Africa: many are considerably below it (Mali stands out dramatically); only a few are above it (Kenya and Zambia stand out). By contrast, several countries in Asia are above the developing-country average: India and Pakistan are dramatically above it, but China and Vietnam are also above it; a few Asian countries are below it – Laos and Myanmar are considerably below it, Malaysia and the Philippines less so. Do variations in doctor numbers and infrastructure explain variations in utilization? The maps below show data on doctors and hospital beds per 1,000 persons. I got the data from the World Development Indicators, and took the country averages for the first half of the 2000s. As before, green countries are above the developing-country average; red countries are below it. The countries above the developing-country averages are mostly those in the OECD and Europe and central Asia, though in the case of doctors per 1,000 some of them are also in Latin America and the Caribbean. Except for China, most of Asian countries fall below the developing country average. Correlating the WHS utilization data with the WDI doctor and beds data shows that doctors and beds per 1,000 persons are positively associated with outpatient visit and inpatient admission rates. A lack of doctors and beds looks like it could indeed be part of the explanation for low utilization rates, though of course we haven’t established causality. But a lack of doctors and hospital beds is only part of the story. Together they “explain” only 60% of the cross-country variation in inpatient admission rates, while doctors “explain” an even smaller 20% of the cross-country variation in outpatient visit rates. Some countries – India and Pakistan are examples – are below the developing-country average on doctors per 1,000 persons, but above the developing-country average on the outpatient visit rate. Doctors and hospitals in these countries treat far more patients than one would expect given the number of doctors and hospital beds in these countries. In these countries, it doesn’t look like accessibility is the pressing issue; as research by my colleague Jishnu Das confirms, at least in India, poor quality is the bigger problem. By contrast, much – but not all – of Africa is in the opposite camp: these countries have inpatient admission and outpatient visit rates that are below what would be expected on the basis of their doctor and beds per 1,000 figures. So it’s not just that these countries lack doctors and beds; it’s also that people are not getting the level of contacts you’d expect from the existing staff and infrastructure. Here it looks like absenteeism could well be part of the story; recent research from my colleague Markus Goldstein confirms it – pregnant women whose first clinic visit coincided with a nurse’s attendance were found to be 46 percent more likely to deliver their baby in a hospital. Message #1 is that countries differ considerably in their utilization rates. Much of Asia visits doctors more regularly than both the developing world and the entire world; India’s consultation rate is a third higher than the global average. Africa stands out as the continent where outpatient visits and inpatient admissions lag behind the rest of the world. Message #2 is that these variations are partly explained by differences in doctors and hospital beds per capita, but only partly. The problem goes deeper than hiring more doctors and building more hospitals. Africa has lower outpatient visit rates than its doctors per 1,000 figures would suggest, while the opposite is true of India and Pakistan. In Africa, it looks like the binding constraint may well be absenteeism, while in S Asia it looks like the first-order problem is the poor quality of care that’s actually delivered. 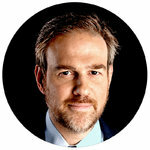 On April 14, The United States Preventive Services Task Force concluded that women with an elevated risk of breast cancer – who have never been diagnosed with breast cancer but whose family history and other medical factors increase their odds of developing the disease–should consider taking one of two pills that cut that risk in half. The Task Force is an independent panel of medical experts who review the medical literature to estimate the pros and cons of preventive interventions. This is the same Task Force that in recent years raised questions about the benefits of mammograms in 40 to 50-year-old women, and PSA tests for men of all ages, tests that screen respectively for breast and prostate cancer. Despite the popularity of both of these tests, the Task Force concluded that their harms often outweigh their benefits. The irony now is that with this report on breast cancer prevention pills, the Task Force has switched from rejecting something patients believed in to endorsing something most patients will reject. The seemingly strange way the Task Force ping-pong’s between popular and unpopular recommendations is inevitable, because these kinds of recommendations must necessarily go beyond the medical facts – it is impossible to decide what preventive measures people need without making value judgments. To understand the way facts and value judgments get mixed together in these kinds recommendations, let’s take a closer look at these breast cancer prevention pills. For many years now, doctors have been prescribing tamoxifen as secondary prevention to women who have already undergone treatment for breast cancer, in an attempt to thwart any breast cancer cells remaining in their body. In women whose breast cancer cells express “estrogen receptors”, tamoxifen reduces the chance that this cancer will recur, by attaching itself to those receptors, in effect crowding outestrogen. In breast cancer cells, any estrogen landing on these receptors will spur that cell to divide and multiply. But when tamoxifen lands on these receptor sites, it does not stimulate cell growth. Two very similar drugs, then. Both slow down breast cancer cells while stimulating bone cells. Each drug has been shown to cut the risk of a first breast cancer in half for women with a high risk of experiencing this disease. In what is known as the P1 trial, for example, women who faced an average five year risk of breast cancer of 6% saw that risk drop to 3%, if they took tamoxifen. Sounds like a good deal, yes? Take a pill for five years, and cut your risk of breast cancer in half. But keep in mind, most women do not face a 6% chance of breast cancer in the next five years. Women with this kind of risk are generally retirement age or beyond, and usually have a bad combination of family history, early onset of menses, and late age of first pregnancy. It is these women the Task Force believes should talk with their doctors about whether to take these medications. And how did the Task Force reach this conclusion? By determining that for some women, at least, the benefits of these pills outweigh their harms. Before looking at this harm benefit ratio more closely, let’s put this Task Force conclusion into context. The Task Force essentially produces three kinds recommendations, which I have taken the liberty to name. NADA: When it concludes that the harms of an intervention outweigh the benefits, the Task Force recommends that doctors and patients avoid the intervention. Think: ultrasound screening for pancreatic cancer. OUGHTA: When the Task Force concludes that the benefits outweigh the harms, it pushes to make the intervention standard of care. For example: routine screening for colon cancer in people 50 years or older. UP TO THE INDIVIDUAL: When the Task Force concludes that the benefits of an intervention potential outweigh the harms, depending on the patient’s individual preferences, it leaves the decision up to individual patients and their doctors to weigh. This is the recommendation the Task Force made both for mammography in 40 to 50-year-olds, and for tamoxifen and raloxifene to prevent breast cancer. When making NADA or OUGHTA recommendations, the Task Force essentially makes its own value judgment. It looks at the risks and benefits of an intervention, and concludes that no sensible person could decide differently from the Task Force. In this third type of recommendation, however, the Task Force concludes that reasonable people could make different choices, based on how they weigh the risks and benefits of the interventions. In the case of tamoxifen and raloxifene to prevent a first breast cancer, I expect the vast majority of women will conclude that the risks of the pills outweigh the benefits. In the past two years, I have collaborated with a team of researchers at the University of Michigan (led by Angie Fagerlin, a decision psychologist in their medical school), to help women decide whether to take either of these pills. We developed an Internet-based decision aid, a tool designed to help patients weigh the pros and cons of their medical alternatives. (I write about the history of decision aids in my book, Critical Decisions.) Our decision aid provided women with individualized estimates of their odds of developing breast cancer in the next five years. We only directed women to the decision aid whose risk was high enough to have qualified for the P1 trial. In the decision aid, we described the benefits of both drugs – the reduced risk of breast cancer and the strengthening of their bones. We also laid out the risks – a very small chance of endometrial cancer, a slightly larger chance of heart attack or stroke, a modest risk of cataracts, and finally a very strong likelihood of experiencing menopausal symptoms such as irregular menstrual bleeding and hot flashes. We actually provided them with precise numerical estimates of these side effects, with pictures illustrating the risks to make them easier to comprehend. Women pondered the pros and cons and concluded, almost unanimously, that the side effects of these drugs outweighed the benefits. The decision whether to take tamoxifen and raloxifene is no doubt a personal one, and the right choice will vary depending on how a given person weighs the respective risks and benefits of these medicines. For a woman with an extremely high risk of breast cancer over the next five years – say 10% or more – cutting that risk in half might very well be worth the hot flashes and the chance of experiencing blood clots. But very, very few women faced a five year risk is highest. Consider, instead, a woman with a 3% chance of developing breast cancer over the next five years. That risk is much higher than average – most women face a five year risk of less than 1% – but is it high enough to justify taking one of these pills? For such a woman, tamoxifen and raloxifene only reduce that risk by 1.5%. Over five years. Five years with possible hot flashes. For a cancer women have not experienced yet. These modest benefits simply do not loom large enough to interest most women in these pills. You might wonder at this point whether our decision aid biased women against these medications. As a physician trained in behavioral economics, I’m constantly on the lookout for decision biases. In the case of our study, however, we designed our decision aid in a manner that allowed us to test for well-known behavioral economic biases. For instance, research has shown that when people face a choice between three options and two of the options are similar, they often opt for the more different alternative even if the other options are better. In other words, a person might believe that A > B, and A’ > B, but still choose B over A and A’, because they cannot decide between A and A’. Aware of this problem, we created several different versions of our decision aid. In one version, we presented women with a choice between tamoxifen, raloxifene or no pill. Three choices in other words, two of which – the two medications – are quite similar to each other. In another version of the decision aid, we simply presented women with the choice between pill or no pill. We thought this simpler choice would increase women’s interest in these pills, by minimizing the difficulty of choosing between the two of them. But instead, this reframing of the decision did not increased women’s interest in either of these preventive medicines. We also designed our decision aid to take account of another well-known decision bias, what are known as recency effects. When people learn about the risks of a medication and then learn about its benefits, that order of information leads them to look favorably upon the medication, because the information they remember best, the last information they receive, is about the pill’s benefits. By contrast, people who receive the same information about this medicine, but in the opposite order, like the pill less, because the last thing they learn about are the pill’s risks, and this information sticks in their minds. To make sure this recency effect was not influencing women’s decisions, we varied the order of information across women. We discovered that this did nothing to change their willingness to take either of these medications, mainly because whichever order women received information in, they did not like the idea of taking either pill. If these pills are so unpopular among well-informed women, why would the Task Force come out in favor of them? It comes down to judgment. The Task Force concluded that a reasonable person could look at these risks and benefits and decide that the hot flashes and blood clots are acceptable prices to pay to reduce the chance of breast cancer. The majority of women don’t have to agree with this view for the Task Force’s recommendation to be correct. Even if only a small percentage of women decide these pills are worth taking, at least they have the freedom to make that choice. And at least they know that medical experts have concluded that such a decision is a reasonable one to make. The same goes for whether to start mammograms before the age of 50 in women at normal risk of breast cancer. The Task Force never said that women shouldn’t start mammograms at this earlier age. They just said that it was a tough judgment call, and that some women, perhaps the majority even, might conclude that the harms of early screening – the anxiety caused by false negative tests, the pain caused by unnecessary biopsies – aren’t worth the modest benefits of screening at this age. If the Task Force is going to leave all these tough decisions up to individual patients and their doctors, why should we care about their recommendations? For starters, you will have a hard time finding a more thorough and levelheaded evaluation of the pros and cons of these kinds of interventions. These people are very good at what they do. In addition, anyone reading through Task Force reports will be forced to recognize that science alone can’t make tough decisions for us. Ultimately, science can only provide us with the facts. The rest of us eventually need to make tough judgment calls. In effect, the Task Force is doing us a huge favor, by showing us which judgments are close calls, and which ones are no-brainers. Peter Ubel is a physician and behavioral scientist who blogs at his self-titled site, Peter Ubel and can be reached on Twitter @PeterUbel. He is the author of Critical Decisions: How You and Your Doctor Can Make the Right Medical Choices Together. I was living a pretty green life, or so I thought. I had been composting for years, was an avid recycler, was known for turning off lights and computers not in use and grew up using reusable grocery bags – doing it all because it just made sense. But my attitude towards greenness and reason to be environmentally responsible changed in one minute back in April of 2007. On one of my days off from my full time job as an emergency physician, I was sitting in my car in the pick up line at my son’s school, absent-mindedly texting and listening to the radio while IDLING! My very wise 4th grader took no time to begin reprimanding me for my lapse in environmental responsibility. “You are idling,” he scolded. “Ms. Gruenfeld (his teacher) taught us about climate change today and what is happening to the polar bears.” He went on. “I better not catch you idling EVER again and there’s a lot more you should be doing about climate change and to help the polar bears.” Shame faced, I agreed and assured him that I would get right to work to try and correct my wrong. As a family, we watched “An Inconvenient Truth,” then set out to make our home as green as possible. Inspired by the urgency in the movie and by a wise little boy, we started doing such things as changing all of our light bulbs to fluorescents, drying clothes on a clothes line, planting a vegetable garden, making homemade cleaning products and much more. Soon it became uncomfortable living one way at home and another at the hospital. It grew harder and harder to leave my environmental conscience at the door when I went to work. In response to this discomfort, I set out to start a recycling program in my ER but was told by a fellow employee that recycling was “illegal” in a hospital. Not satisfied with this response, I turned to the Internet and learned that not only was recycling not illegal in a hospital and that there were many exciting and practical opportunities for a hospital to reduce it’s environmental impact. It was at this moment that I knew that I had found my calling. I wrote a letter to my administrators and requested that we take steps to become a more sustainable operation, was given permission to run, started a green team and so began my mid-life second career path. Let’s briefly look at some of the other things I have learned over the past few years that concern me as a parent and a physician. The US spends billions annually to treat chronic diseases such as obesity and diabetes, both of which are increasing in incidence at an alarming rate and burdening our health care system. Scientists now suspect that endocrine disrupting chemicals may play a role in the development of both diabetes and obesity. These chemicals even have a name – “obesogens” – chemicals that may promote weight gain and obesity. Bet you never learned about this in medical school! The incidence of other chronic diseases with potential environmental links, such as asthma, autism and certain cancers are increasing at alarming rates. A 2008 Associated Press study found traces of pharmaceuticals in the drinking water of millions of Americans. A 2005 study by the Environmental Working Group found over 200 industrial chemicals in the cord blood of ten newborn infants. DEHP, a plasticizer, which is an androgen antagonist, is found in many medical devices including IV bags and tubing. A 2007 Lancet study showed that nurses have the highest incidence of occupational asthma of any profession. We have mercury, a potent neurotoxin, in our clinical and facility devices, pharmaceuticals and lab reagents. Around 80% of the antibiotics used in this country are used non-therapeutically in livestock, which experts agree is linked to antibiotic resistance in humans. I could go on and on, but it is beyond the scope of this blog. So, what’s a busy physician to do with all this disturbing information? Lead by example – support your hospital’s recycling program, use red bags properly, turn off lights not in use, reduce your paper usage! Take advantage of the many resources in these websites and do a webinar. CME opportunities for physicians are definitely lacking but I have found a few great online educational programs, which provide CMEs. National Advocacy: advocate for climate change policy, chemical reform, antibiotic legislation and more. Let your voice be heard! More and more physicians are recognizing the link between environmental choices and health and the environmental impact of hospital operations. Physicians have many opportunities to advance sustainability within their organizations and the health care sector and to bring this important work to our patients. Sustainability broadens my understanding of the Hippocratic Oath, as in my practice I now consider “First, Do No Harm” to mean doing no harm to patients, workers, the community and the environment. “Non può esserci crescita infinita in un sistema a risorse limitate, soprattutto se il sistema in questione è chiuso, complesso ed ha come obiettivo la tutela del diritto alla salute. La complessità, limite e forza della sanità del XXI secolo, nasce della definitiva emancipazione di tutti gli attori in gioco, dai cittadini alle professioni sanitarie, dai manager all’Industria: il risultato di questa evoluzione di ruoli e consapevolezze produce un vibrante tentativo di cambiamento, ma mai armonico. La crisi internazionale, in aggiunta, sta colpendo duramente la tenuta del welfare in Europa e tra i primi interventi di razionalizzazione possono essere annoverati proprio quelli che hanno interessato i sistemi sanitari: Spagna, Grecia e Portogallo sono soltanto alcuni esempi. In Italia l’esperienza della regionalizzazione spinta, che ha generato 21 sistemi concorrenziali in perenne conflitto con il livello centrale, va probabilmente ripensata per creare una vera autonomia responsabile ed evitare il naufragio generale. La Società Italiana Medici Manager (SIMM), nella consapevolezza che lo stato inerziale sia l’anticamera dello sfaldamento di un Servizio Sanitario Nazionale (SSN), equo, universale e solidale così come lo abbiamo finora conosciuto, ha deciso di dedicare il proprio VI Congresso Nazionale all’unità dei professionisti della salute ed alla centralità della leadership medica in sanità come strumenti per rivoluzionare e rilanciare il SSN. In questo la recente esperienza inglese di ristrutturazione del National Health Service (NHS), così vicina e così lontana allo stesso tempo, deve esserci di immediato aiuto per evitare errori da non commettere e, nel contempo, fornirci gli strumenti per disegnare ed esplorare vie del tutto nuove. Si è concluso con successo il 6° Congresso Nazionale della SIHTA. Esso ha dato un contributo, in un momento storico come quello attuale, caratterizzato da una forte crisi economica e da un’esasperata attenzione al contenimento della spesa, a compiere scelte che siano anche eticamente accettabili e socialmente condivise, un paradigma fondamentale per rendere sostenibili le decisioni che incidono in grande misura sul livello qualitativo dei sistemi sanitari. 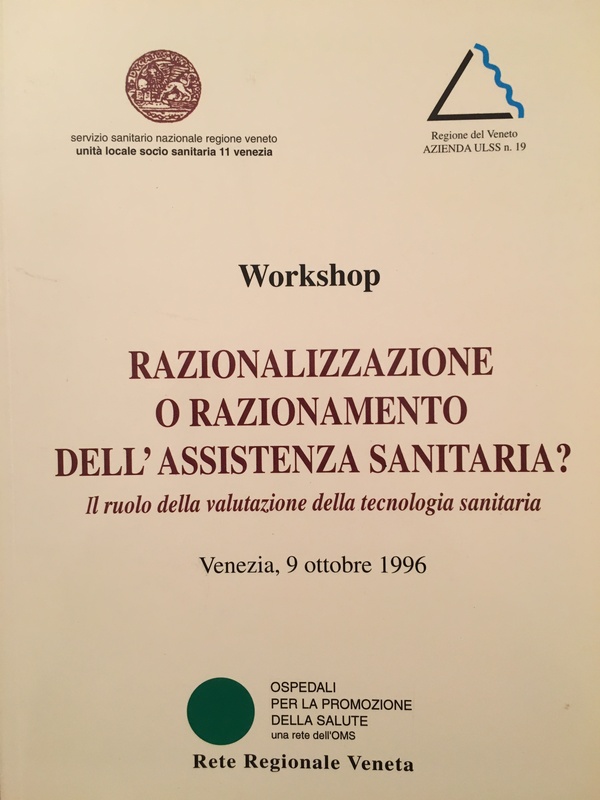 E’ stata indagata la dimensione etica e d’impatto sociale dell’Health Technology Assessment affinché in ogni processo decisionale, non prevalgano più orientamenti poveri di dimensione valoriale quasi esclusivamente orientati ai tagli lineari piuttosto che a un sapiente disinvestimento che non incida sulla salute dei cittadini. Si è ricordato che il percorso decisionale suggerito dalle metodologie di HTA costituisce un’ulteriore garanzia affinché le stesse vengano realmente interpretate come una leva per lo sviluppo economico del Paese. Numerosi workshop, due dei quali svolti in collaborazione con l’Associazione Italiana Medicina Nucleare e l’Associazione Italiana di Fisica medica, e molte sessioni parallele hanno dato pregnanza al Congresso. Da segnalare l’elevato livello scientifico delle presentazioni proposte dai partecipanti. Prossimo appuntamento a Roma, nell’autunno 2014: il tema conduttore sarà “HTA e definizione dei LEA”. E’ un obiettivo ambizioso, ma ineludibile! Social inequalities in health are a characteristic of almost all European Welfare States. It has been estimated, that this is associated with annual costs that amount to approximately 9% of total member state GDP. We investigated the influence of inequalities in German health care utilization on direct medical costs. We used longitudinal data from a representative panel study (German Socio-Economic Panel Study) covering 1994 to 2010. The sample consisted of respondents aged 18 years or older. We used additional data from the German Health Interview and Examination Survey for Children and Adolescents, conducted between 2003 and 2006, to report utilization for male and female participants aged from 0 to 17 years. We analyzed inequalities in health care using negative binomial regression models and top-down cost estimates. Men in the lowest income group (less than 60% of median income) had a 1.3-fold (95% CI: 1.2-1.4) increased number of doctor visits and a 2.2-fold (95% CI: 1.9-2.6) increased number of hospital days per year, when compared with the highest income group; the corresponding differences were 1.1 (95% CI: 1.0-1.1) and 1.3 (95% CI: 1.2-1.5) for women. Depending on the underlying scenario used, direct costs for health care due to health inequalities were increased by approximately 2 billion to 25 billion euros per year. The best case scenario (the whole population is as healthy and uses an equivalent amount of resources as the well-off) would have hypothetically reduced the costs of health care by 16 to 25 billion euros per year. Our findings indicate that inequalities and inequities in health care utilization exist in Germany, with respect to income position, and are associated with considerable direct costs. Additional research is needed to analyze the indirect costs of health inequalities and to replicate the current findings using different methodologies. My mother is a wonderful woman but has no short term memory and drinks too much alcohol. When she’s sober her language is complex and her sense of humour magnificent. “What a terrible world,” she says, watching the television news, “I’m glad I’m not in it.” In a way, she isn’t. She’s mildly disinhibited even when sober and chats to everybody. “You’re one of the sights of Barsetshire,” I say to her, “they’ll be organising coach parties.” “Well, nobody ‘ll pay,” she answers laughing. But how much have the health and social services helped my mother? She’s clear that she wants to live on her own as long as possible. In an age gone by, but still present in most of the developing world, she would have lived with me or my brothers. It would be unthinkable that when widowed she should live alone. But those days are finished. We couldn’t stand it and nor, I’m confident (but maybe deceiving myself), could she. It’s fascinated me how well and for how long she has lived alone despite having no short term memory. It’s been some six years. I thought an intact short term memory essential for living alone, but I was wrong. Luckily she doesn’t cook, so doesn’t leave the gas or the oven on. She forgets to put water in the electric kettle and sometimes blows the fuses, but she doesn’t blow up the house. Every day is much the same. She gets up at about 8.30, has a cup of black coffee, looks at the Guardian (making no sense of it), puts on her shoes, and “stomps,” as she describes it, the mile into the centre of Barset. Greeting the man in the newsagent, she buys a bottle of wine, stomps home, hailing people as she goes, drinks the wine, and goes to bed. Perhaps two hours later she gets up and does it all again. And when the days are longest, she may attempt it a third time—unaware that it’s evening not morning and unsteady on her feet after two bottles of wine. That’s why I’m sat here in Barset writing this. I’m “mothersitting.” She giggles at the term but doesn’t really like it. Back at the beginning I thought that we ought to “get her into the system.” I thought that we’d need some support and that it would be essential to be “on the books” to receive it. So we went to the GP, which she doesn’t like. The trainee said that she should have some blood tests and come back to have “the long test for memory.” That was two trips, 140 miles driving, and when we had the appointment for the long test, the doctor didn’t have time to administer it and so simply referred her to the memory clinic. There was no value added by all this as the postman could have told us that she has no short term memory. The adventures with the memory clinic were long and drawn out with MRI scans, psychological tests, many interviews with a variety of people, and some 350 miles of driving. My mother hated it all, but in the end she was prescribed drugs to help her memory. She forgot to take them and didn’t, I think, want to take them anyway, although she said she did to please us all. Even if she had taken the drugs there was only a small chance that they would have done any good. Everybody was charming and helpful, but no value was added by all this activity—except that the diagnosis released some state benefits. It was bureaucratic value that was added. Social services became involved. They came and did a long assessment. Eventually, they said, she’d have to go into a home. This wasn’t surprising. They couldn’t do anything except give us a list of services. They couldn’t recommend any service even though they presumably know which are better than others. So no value in this. We arranged for a “sandwich lady” to come three times a week to encourage my mother to eat. But that was hopeless, and eventually my mother herself told the sandwich lady that she didn’t need her anymore. Social services assessed her again and told us the same as before. They did arrange a bath chair, which did add a little value. Unfortunately it broke down almost immediately and took a long time to fix. Now they’ve taken it away. I’m not sure why. We arranged for carers to come in twice a day, and they have added value. But we found them and have to pay as my mother owns her house. What about resuscitation, the care company asked. My mother is very clear that she doesn’t want to be resuscitated. We talk about death a lot. She’s not scared of death. But we can’t have a DNR in place without having the doctor approve it. So we haven’t bothered. If the carers find her in cardiac arrest they are highly unlikely to succeed in resuscitating her anyway. Having to have a doctor determine your eligibility for a DNR seems to me a process that subtracts value. Now things have reached a crisis. With the long evenings my mother is going out late and drunk and having all kinds of adventures with neighbours, the police, and the burghers of Barset. The care company has contacted social services worried that it might be blamed if she goes under a bus. So have some neighbours. A young man from social services rings me in a state of high excitement. He asks me things that we have told social services many times. He’s rung the GP asking for an assessment. He offers us another assessment. “What good will that do?” I ask. He’s not clear. I say that we recognise she can no longer live alone even though she insists that she wants to. We’ve started finding a home. They can’t, it’s apparent, really do anything. I ring the GP and speak to a friendly understanding doctor. They have been contacted by social services and discussed her in their meeting. But nobody knows anything about her. A doctor has visited twice but never got an answer. Somebody is going to try again. The young doctor agrees that they have little to offer. I’ve not heard from them since. Social services keep ringing because people are ringing them. The care company tells me that they will do anything to help but in the same call, without irony, tell me that they can’t supply somebody in the light evenings. My brother asks who social services are serving? Are they there for my mother or the neighbours? We recognise the strain on the neighbours, and we know most of them. Some have been very helpful. Ages ago I delivered them all a letter asking them to contact any of us if they had worries. I’m not sure why they ring social services rather than us. Then my mother has a fall. It had to happen. Indeed, it’s happened before. This time she has a scalp wound, and we doctors (and surely most others) know that scalps can bleed generously. I was abroad unfortunately, so my brother rings 111. Risk averse, as they have to be, they recommend a visit to A and E. Nobody can be sure that she wasn’t unconscious. A young doctor thinks she might have a urinary tract infection to account for her confusion and prescribes antibiotics. They can’t be taken with alcohol. He suggests a visit to the GP in four days’ time. I say poppycock to all this when I return, and we forget the antibiotics and the visit to the GP. She is fine. So again more activity, more expense for the NHS, and no value. At least she hasn’t developed diarrhoea through taking antibiotics. A woman from social services rang again today. She’s weary. I tell her that we are in the final stages of the bureaucracy of finding a home. She’s relieved. I ask her what she might do if we weren’t doing anything. Eventually she would have to use the law to have my mother admitted to a care home. She could arrange an emergency admission to a home, but we agree that we should do all we can to avoid having to move her twice. My mother is unaware that the phone lines of Barset are buzzing with concern about her. She’s not keen on moving to a home but will do what we advise. Seconds after we’ve had the conversation she has of course forgotten it. When I reflect on the saga so far I can’t see that statutory health and social services have added anything but minimal value. But there’s been plenty of activity, form filling, and expense. My mother is not that unusual. We surely need better ways to get value out of the system. I also reflect that people who have added a lot of value are those who work in the newsagent she visits every day. She likes them, and they are not only kind to her but also let her have goods without paying when she forgets her money and arrange a taxi to take her home when she’s tired and exhausted. Perhaps we need fewer expensive professionals and a revitalisation of communities.